Where Can Kids Eat For Free In London? Zoe Craig Where Can Kids Eat For Free In London? London boasts plenty of excellent kid-friendly options when it comes to eating out. But here's a list of top places which offer kids' food gratis, making the whole experience even sweeter. Whether you've got a fussy toddler, an awkward pre-teen or a something in between, eating out with kids in tow can be a minefield. Throw in other diners, waiting staff and an unfamiliar atmosphere for distraction, and sometimes the food doesn't even get a look-in. But eating out is an important skill to be learned; why not practice somewhere where at least the worry of cost has been taken care of? 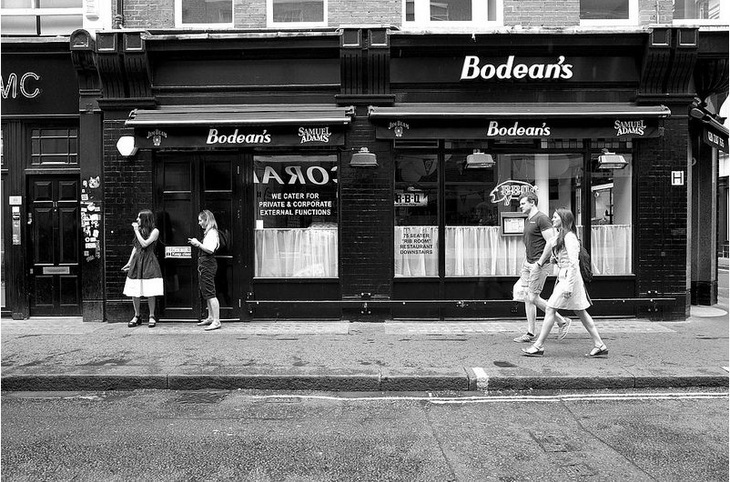 Head to one of Bodean's London branches between midday and 5pm and your offspring can sample their barbecued delights for free. At any other time, the kids' menu is an incredibly reasonable £5 and offers lip-smacking choices like ribs, BBQ chicken, burgers or macaroni cheese. Sundays are the best days to treat your little ones to some traditional Greek fare, as London's nine Real Greek restaurants offer under 12s a free meal from the children's menu for every adult meal costing over £10. The posh London restaurants belonging to celebrity chef Mark Hix might not spring to mind when planning a meal out with littlies. But Mark's very pro-kids, and has campaigned for better menus for children in the past. Kids can eat for free at Hix Soho and at Tramshed in Shoreditch (for under 10s eating from the kids menu, between 4pm-6pm, Monday to Friday; and noon-6pm at the weekend), and at Hixter Bankside (daily midday til 6pm from the children's menu when accompanied by a paying adult). 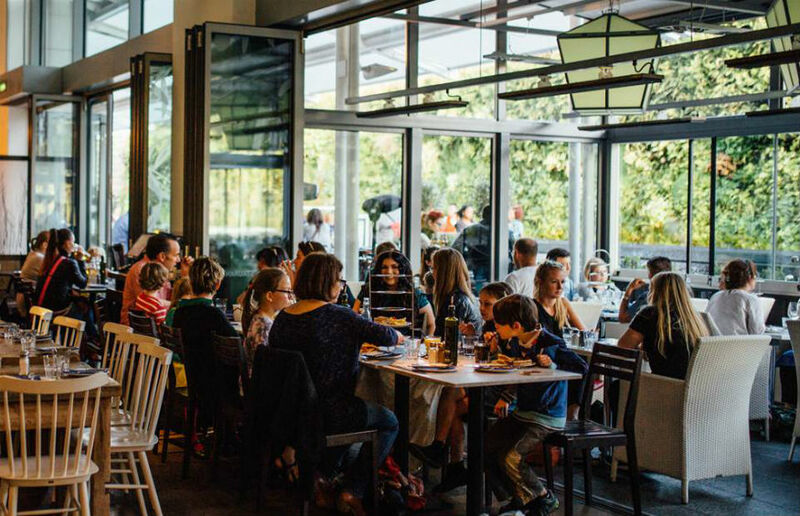 Kids eat for free at Bromley's Belgian-style Belgo restaurant before 6pm every day, seven days a week. One child (up to 8 years old) can eat for free for every adult eating from the a la carte menu. The kids' menu includes pasta, chicken and fish goujons, as well as mussels for your more adventurous minions. Head to Gordon Ramsay's gaff near St Paul's where kids eat free, all day, every day, provided they're under 12, accompanied by an adult ordering a main mean, and order their three courses from the children's menu. Options include fish and chips with crushed peas, rigatoni with tomato and mozzarella, or sausage and mash, followed by a tempting-sounding ice cream or banana sticky toffee pudding for desert. Yum. Children up to the age of 12 eat free at this Thames-side steakhouse when two adults have a main dish and a side each from the A La Carte Menu. Book a window seat for fantastic views of the river to accompany your sumptuous Aberdeen Angus steaks, sourced from English farms. Whether you're at Canary Wharf at the weekend for the shopping, cinema, Museum of London Docklands or maybe the art trail, your little uns can enjoy breakfast or brunch at Tom's Kitchen for free. Up to four kids (aged under 12) can eat from a kids' menu for nought pence per booking, which strikes us as a great offer. Indulge your kids with a proper Sunday roast — for free! 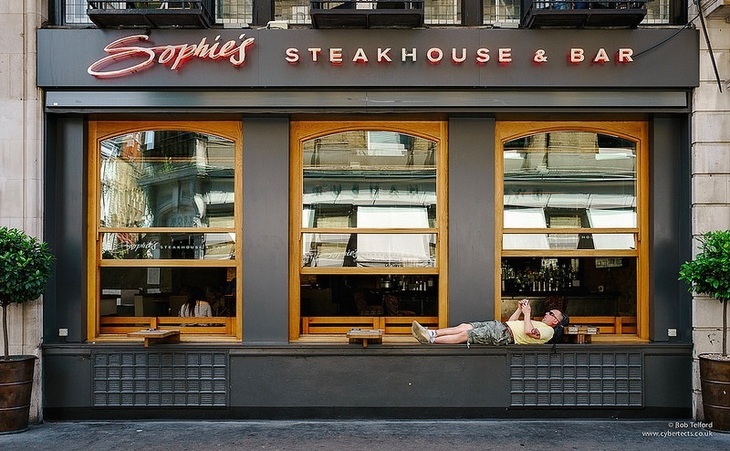 — at Sophie's Steakhouse in Covent Garden. All kids' mini roasts are free on a Sunday from midday in the West End branch. Trip down The Strand with your little ones on the weekend for a free treat at Smollensky's where kids can choose from free burgers, goujons or pasta before 7pm on Saturday or Sunday when accompanied by a paying adult. If you're looking for some calorific sustenance after feasting on the culture at the British Museum, head through room 12 (Greek Minoans) to the Gallery Cafe where you can get one free child's meal (for under 12s) when you buy any adult meal. Families can choose from a wide range of options in the Barbican's family-friendly ground floor restaurant: sandwiches, hand-made pizzas, hot meat sandwiches and hot specials all come from this open kitchen, plus cold salads and wraps. One child can eat free for every adult ordering a main meal. Please check with individual restaurants for the full terms and conditions of these 'Kids Eat Free' offers. Did we miss any? Let us know in the comments below if there are more great places serving kids food for free in London.